looks very good. 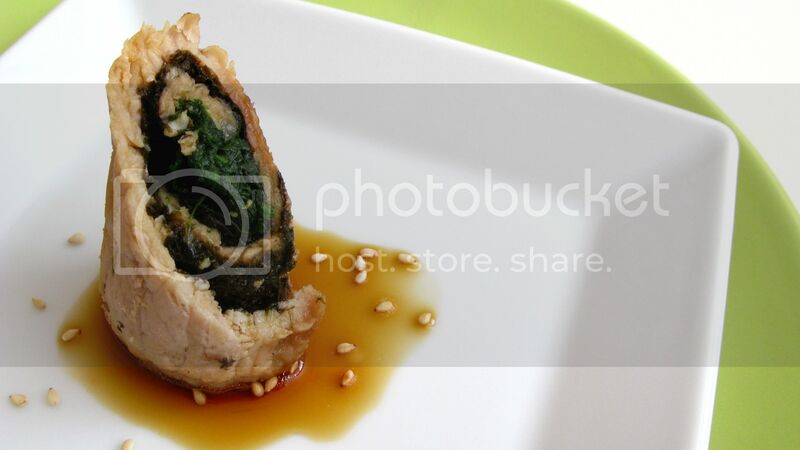 btw, would you happen to know the recipe for fresh (summer) roll sauce? it's not the hosin one i'm looking for. i'm looking for the one that is clear, light and sweet with chili peppers. Another easy and tasty one, I bet. Yum! Love the ponzu + mirin! Gotta try to make this at home! Looks so cute like dim sum. I would love that, but I need many pieces. Looks simple to make & very delicious. Thanks for sharing. Maybe next time I'll just roll up the whole pork loin and make a giant one haha!